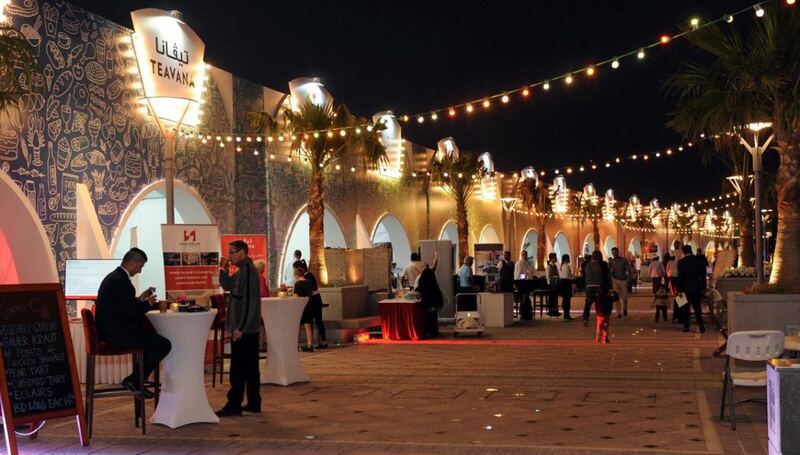 The second edition of “ Bahrain Food Festival “ was launched by Bahrain Tourism and Exhbitions Authority (BTEA) at Bahrain Bay on the 25th of February 2017. Present at the launch were His Excellency Mr. Taleb Al Rifai, Secretary-General of the United Nations World Tourism Organization, His Excellency Shaikh Khaled bin Humood Al Khalifa, the Chief Executive of Bahrain Tourism and Exhibitions Authority with Dr. Bandar Al Fehaid, President of the Arab Tourism Organization as well as authority representatives and members of the media. One of the prominent events of BTEA for this year, the Food Festival will run until the 6th of March and offer participating food and beverage outlets a chance to showcase their offerings and position Bahrain as a regional culinary and leisure destination. The 52 participating outlets represent a variety of cuisines ranging from Middle Eastern, Western, Asian, Indian, Organic, and Healthy options. Set in beautiful surroundings of the Bahrain Bay Promenade with the magnificent Four Seasons Hotel as a back drop, the festival includes various entertainment activities for all ages such as live music bands, cooking demonstrations by popular chefs, dining facilities, magic shows and play areas for children.